Mark Ryden, The Piano Player, 2010. Oil on canvas. Insert Jesus into an oeuvre that regularly features wide-eyed fairytale femmes, Abraham Lincoln, and raw meat, and you’ve got yourself a Mark Ryden painting. This guy’s work, kooky to the utmost, is exhibited worldwide and sells for hundreds of thousands of dollars (his collectors include Stephen King, Ringo Starr, and formerly Michael Jackson). His art belongs to what is (affectionately, not disparagingly) called the Lowbrow movement, or Pop Surrealism. Mark Ryden, Riding with the Lord, 2010. Graphite and watercolor on paper. What is your immediate reaction to the above two pieces? Is Jesus’s guest appearance in Ryden’s fantastical world attractive or repulsive to you? 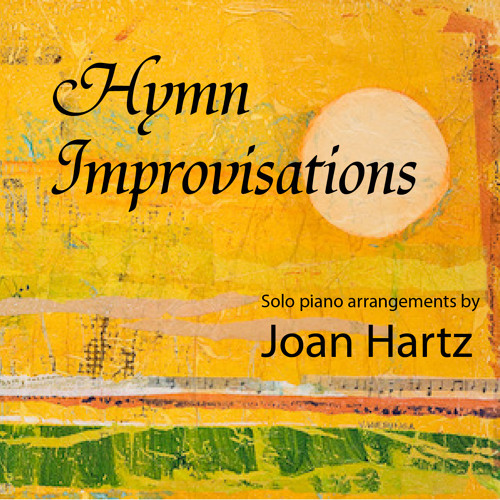 Beautiful, or banal? Ryden has said, in reference to this and other works, that his characters don’t necessarily symbolize anything, but that that doesn’t mean they are meaningless: “People have the idea that an image must ‘stand for’ something else, that the ‘real’ meaning needs to be described with language. Instead it is the image itself that is the meaning.” He only wants his paintings to evoke wonder and curiosity, he said, which is why we need not read too much into them. So, look on. Be transported. React thoughtlessly (first impressions count); observe, but don’t analyze. And then continue on your merry way. 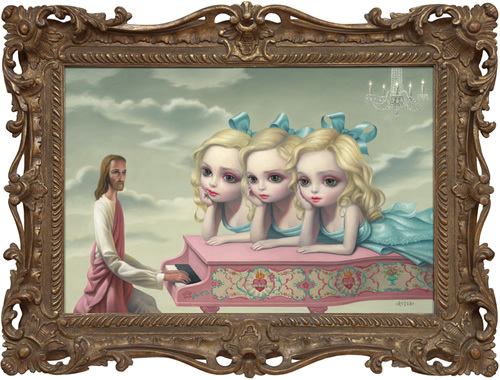 This entry was posted in Controversial Art, Western Art and tagged mark ryden riding with the lord, mark ryden the piano player, pop surrealism, the gay 90s: old tyme art show. Bookmark the permalink.